It's a rewards card that makes other cards jealous! Our rewards program is here! CottonOn & Co. 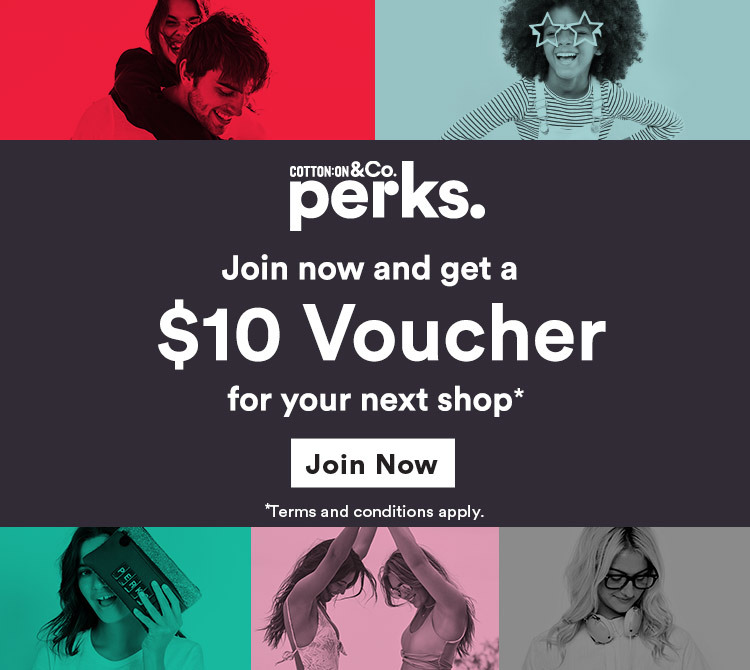 Perks members will enjoy earning perks across our five brands - Cotton On, Cotton On Body, Cotton On Kids, Rubi and Typo. There is loads to love from day one, including Previews, Pressies, plus $10 Payday vouchers you can earn for every $100 spent in-store or online across any of our brands. To earn rewards online, just use your CottonOn & Co. perks email address at checkout. To earn in-store just scan your CottonOn & Co. perks card. So what are you waiting for? Join today, because life is better with perks! CottonOn & Co. Perks with the works! 3 amazing reasons why you'll fall in love with our perks! Get $10 vouchers by shopping across our 5 brands. Reach $100 and get a voucher. Zero limits on how many you can earn. Every purchase has a perky lining. Birthday treats and little surprises throughout the year... because perks speak louder than words. Get the scoop on new launches, invitations and exclusive perk-alicous offers. Want to know more? Read more on our FAQ page, or click here to view our Terms & Conditions. 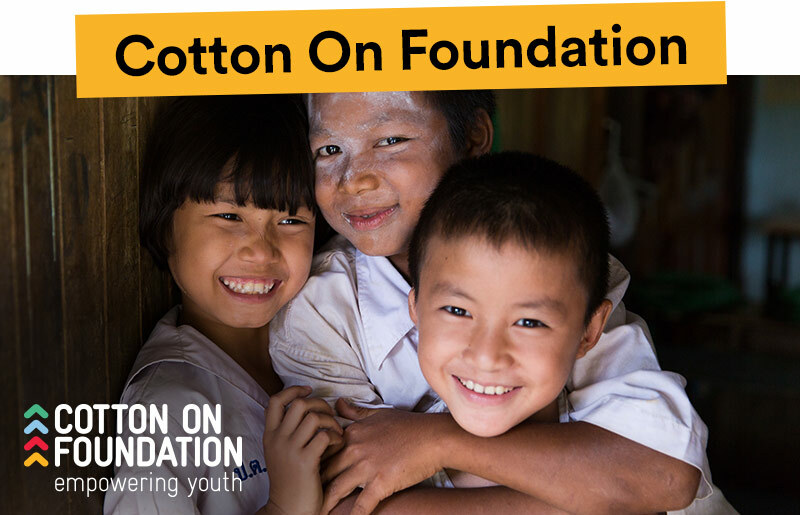 Each Cotton On Foundation item is truly life-changing because 100% of proceeds contribute to empowering youth through quality education. Join them in their mission of developing 20,000 educational places by 2020. 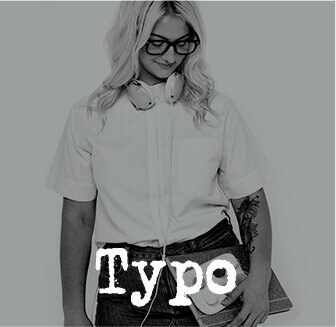 *Minimum spend of $25 in order to redeem $10 CottonOn & Co. Perks welcome voucher.